#Ungapatchka is a Yiddish word to describe something ridiculously over-decorated, excessive ornamentation or kitsch. Which sounds bad unless you are talking about chocolate. The Matzo project presents Ungapatchka in milk chocolate and dark chocolate! 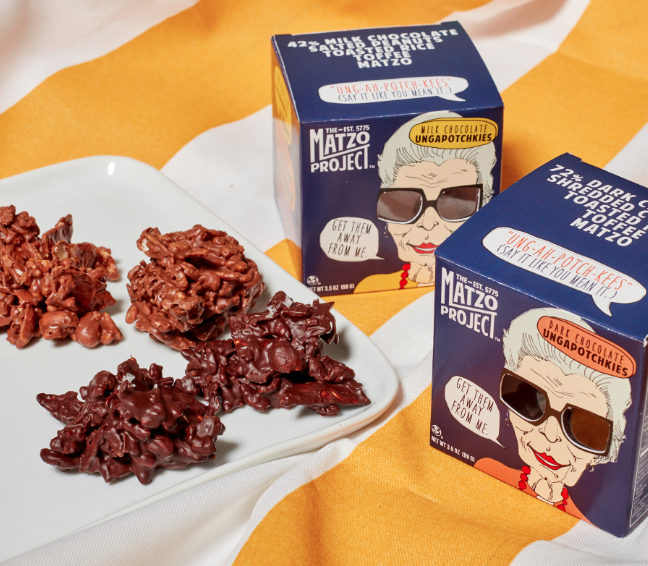 A delicious mash-up of Belgium chocolate, caramel rice crisps, peanuts and Matzo Project Matzo crackers. The Matzo Project Ungapatchka is available for a limited time! Come on down.